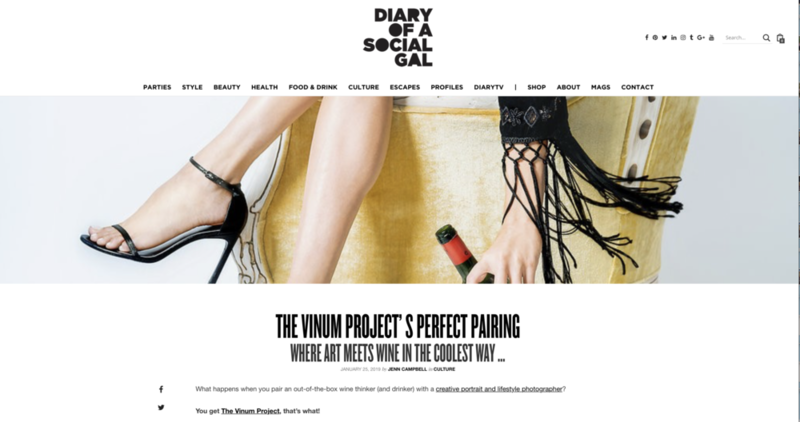 Made up of Vanessa Price — a sommelier, wine educator, lecturer and writer for New York Magazine— and Michelle McSwain — a commercial photographer based in New York City and Los Angeles — childhood friends who grew up together in Kentucky, The Vinum Project is all about visualizing wine. “Much like the holidays, wine is a unifier. It’s something that your Aunt in Texas shares in common with your BFF in LA and your odd colleague at work. It’s a common denominator for bringing people together in a world that can feel very divided these days. Yet when we think about wine, most of the images that are top of mind are largely outdated, white table clothes, etc. – so out of touch with the real humans diving in to experiences and cultures surrounding the amazing world of wine. Our offering combines sophisticated elements of wine and the wine industry with bold pops of color and different perspectives that embody a young and fresh outlook. Cool, yet affordable gifts are hard to come by so we end up leaning on the tried and trues a little too often, said Vanessa Price, Founder of The VinumProject.